If you are intrigued by Daily Harvest’s colorful offer, you are not alone. This innovative company is the kind of meal delivery service many busy people around the country have been waiting for and it is not even as expensive as one would expect. We are here to answer all the most commonly asked questions about the Daily Harvest menu. Let’s take a peek inside this company’s bustling kitchen and see what it has to offer. The Daily Harvest menu currently includes 23 incredibly healthy and tasty items. There are 16 smoothies, 6 harvest bowls, 6 soups, 3 lattes, 3 chia parfaits, 3 kinds of overnight oats, and 6 different sundaes at your disposal. The items come in pre-portioned, single-serving cups and bowls. The ingredients used are truly perfect. They include organic, non-GMO vegetables and fruit, protein-packed nuts, and glorious superfoods. All ingredients are completely natural, without any artificial or refined substances. The produce is picked at peak maturity for maximum flavor and nutrient content. It is flash-frozen in order to keep all the good stuff locked inside. Although most ingredients are familiar, like bananas, blackberries, cocoa, coconut, raspberries, and oats, some of them, like black majik and triphala, may not ring a bell. That is why every ingredient of every recipe comes with a detailed description that informs you about its positive effect on your health. You can also take a look at the nutrition facts for every item. Are The Meals Ready To Eat? Not exactly, but the preparation process only takes a couple of minutes. There is no need to defrost the ingredients; in fact, it is not recommended. You should just shake them up and add the liquid you wish to use as the base. 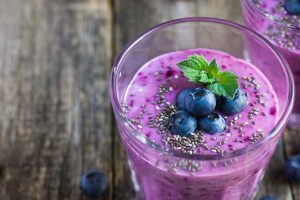 With smoothies, oats, and parfaits, you can simply use water or milk (any kind, from almond, coconut, and soy to dairy milk) and start blending. With sundaes, you just need to pour the ingredients into the blender, add any kind of milk, and push the button. Harvest bowls are ready to heat. Lattes can be prepared in a blender, saucepan or microwave. For soups, you can use hot water or any kind of broth you like. You can choose between 3 preparation methods, including heating, blending, and soaking. If you are not feeling hungry yet, just put your cups and bowls in the freezer as soon as you receive them. You can stock up on your favorite Daily Harvest mixes and always be just minutes away from a wonderful, healthy meal. The recipes are designed by Daily Harvest’s dynamic duo – its in-house nutritionist and chef, who together work on making creative combinations using the vast variety of healthy ingredients at their disposal. The nutritionist is there to make sure the cups and bowls contain all the valuable nutrients you need in the right proportion while the chef’s job is to make every item ultimately satisfying and delicious. The Daily Harvest menu is suitable for various kinds of special diets. All items on the menu are vegan-friendly and in accordance with the Paleo and vegetarian diets. Everything is 100% dairy-free, gluten-free, and soy-free (except for the Mushroom + Miso soup). At the moment, Daily Harvest is working on becoming kosher-certified and fully organic-certified. However, the recipes cannot be altered, so if you are allergic to the ingredients in a certain cup or bowl, there is no other option but to order something else. As you can see, Daily Harvest works hard on making healthy and tasty food available to everyone on a tight schedule who wants to eat well. Its lovely mixes cover a variety of special dietary needs and they are essentially good for you. 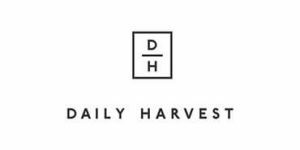 Be sure to check out our full Daily Harvest review for more valuable info.